Campton United has won two consecutive US Youth Soccer Illinois State Cups and is coming off an appearance in the Region II Championship final, in which it fell to CUP Gold 00/01 (OH-S). The Illinois side advance to Nationals as the Region II Representative and gained some valuable experience against the type of teams it will see in the National League. Campton also competed in the MRL Premier I Red Division with CUP and 2014-15 National League runner-up FC Pride 01 Elite (IN), so it has a good grasp on the type of opponents to expect this season. After finishing second in its Region I Champions League division, Century V earned two hard-fought victories to win the Champions League playoff. That result qualified the Pennsylvania West side for the National League and also gave it a berth to the Region I Championships. At Regionals, Century V went 1-1-1, with its lone loss being a 1-0 decision against eventual Region I Champion HBC Impact (NY-E). Century V has yet to test itself on the national stage, but it will get a chance to make a name for itself in the National League Red Division. After getting just four points in the standings from its games in North Carolina a year ago, FC Pride rattled off three wins in Las Vegas to wrap up second place in the National League Blue Division and punch its ticket to Nationals. The Indiana side kept its momentum going in Tulsa — advancing to the semifinals, where it came one goal short against Dallas Kicks SC 01 (TX-N). A better start in North Carolina this season would put FC Pride on the right track to a top-two National League finish and return to the National Championships. A 12-1-0 finish helped FC Salmon Creek finish in first place in the Far West Regional League Northwest Division. The Washington side averaged nearly three goals per game in FWRL play, while it conceded just six times in 13 matches. Salmon Creek also claimed the US Youth Soccer Washington State Cup title and advanced to the quarterfinals at the Region IV Championships, where it played eventual National Champion Legends FC Gold (CA-S) very closely in a 1-0 loss — showing that the Washington side can hang with any team in the country. Like any good team, Legends FC continued to get better as last season progressed, and its improvement proved to be enough to claim the 2015 US Youth Soccer National Championship. After a sixth-place finish in the National League, Legends came together and won the US Youth Soccer Cal South State Cup. The side followed that with an undefeated run at the Region IV Championships in which it conceded just two goals en route to winning the title. Legends’ defense, which was strong in every competition, once again stood out at Nationals, as the team allowed its lone goal in the 2-1 victory in the National final. South Shore is preparing for its second year in the National League, with hopes of repeating its success in the 2014-15 season. The Massachusetts side won each of its three games in Las Vegas to finish atop the Red Division and book a second trip to the National Championships. South Shore came within five minutes in its final group game of advancing to the semifinals, but it gave up a late goal that ended its run. If South Shore can build on the experience it gained last season, the Massachusetts side could be in contention for another division title. 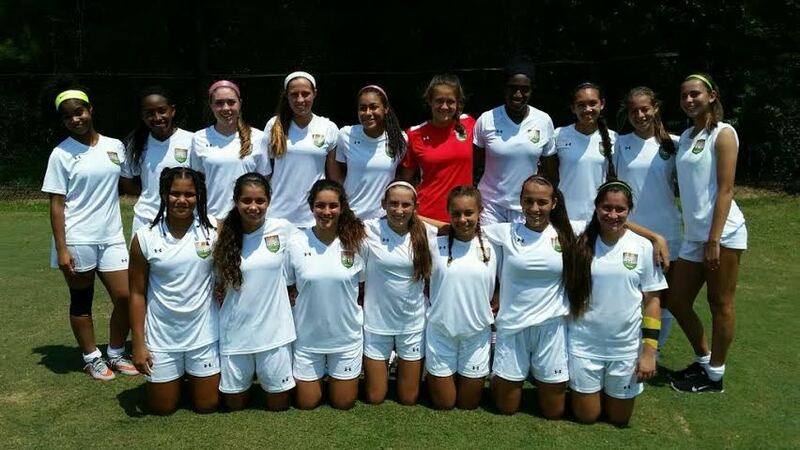 Sunrise Sting, a two-time US Youth Soccer Florida State Cup Champion, grabbed some attention during its run to the 2015 Region III Championships final. The Sting finished atop their group with a 3-0-0 record before recording clean sheets in the quarterfinal and semifinal rounds. While it came up short in the Region III final, the Florida side features several US Youth Soccer ODP members on its roster and should be a tough matchup for any team it faces during its first National League season in 2015-16. TFCA has a chance to open its National League season just a short drive from the team’s hometown, which could help the side get a jump on the competition. It wouldn’t be a surprise, as TFCA has enjoyed recent success in its home state, including the 2015 US Youth Soccer North Carolina State Cup title. Alliance followed that up with a solid performance at the Region III Championships, where it advanced to the quarterfinals before falling to the eventual Region III Champion.